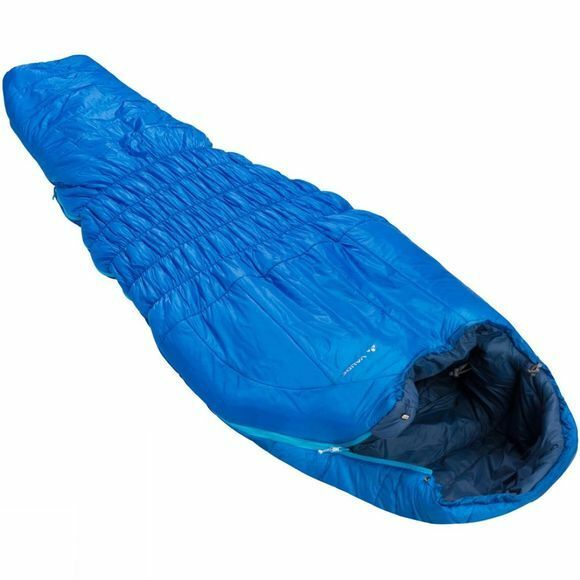 The Säntis 800 SYN Sleeping Bag from Vaude is a warm mummy sleeping bag with synthetic fill for mountaineers and trekkers who mainly enjoy backpacking in spring through fall. The high stretch knee section and somewhat wider shoulder section offer full mobility and comfort. 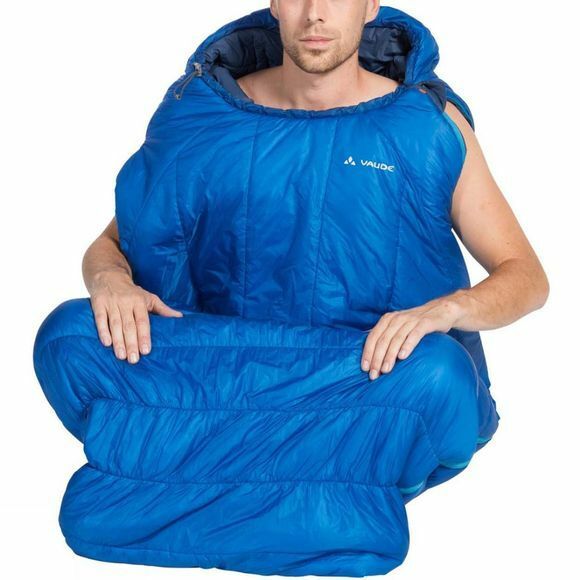 An added benefit for activities such as reading and cooking in cold temperatures is an additional arm opening in the shoulder section (an opening for the other arm is possible through the main zip closure). This opening can also be used for the rope when bivouacking in the wall. The warm insulation (800 g) is easy to take care of and quick to dry. It also effectively retains heat even when damp. Made from very lightweight materials, the bag weighs little and can be packed down small. The VAUDE Green Shape label stands for environmentally friendly, functional products made from sustainable materials.